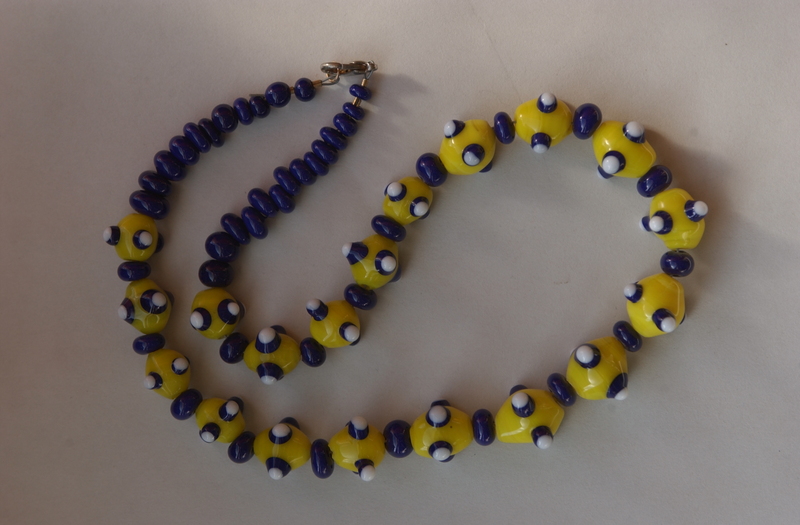 My modern pieces vary from extremely wearable jewelry to amazing and fun art pieces. 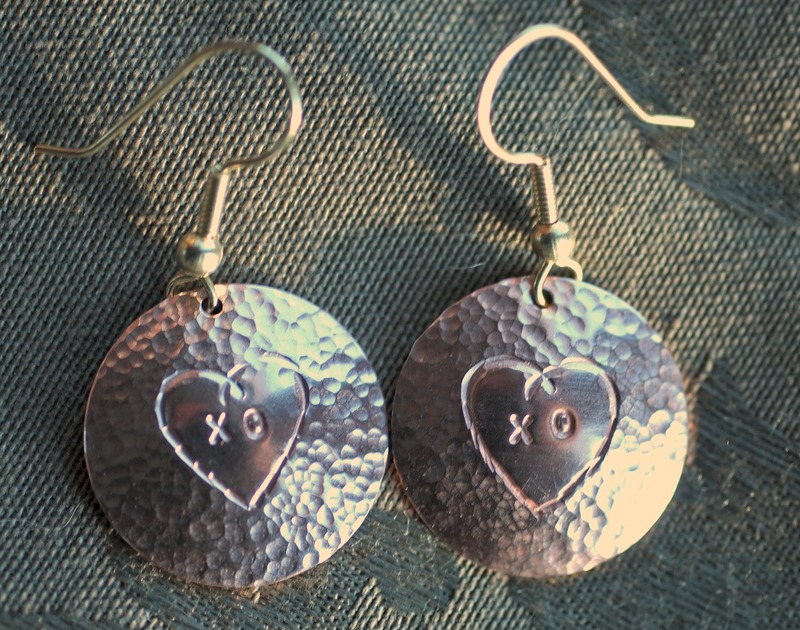 On the wearable bling front we see things like this pair of handmade copper Valentine earrings. 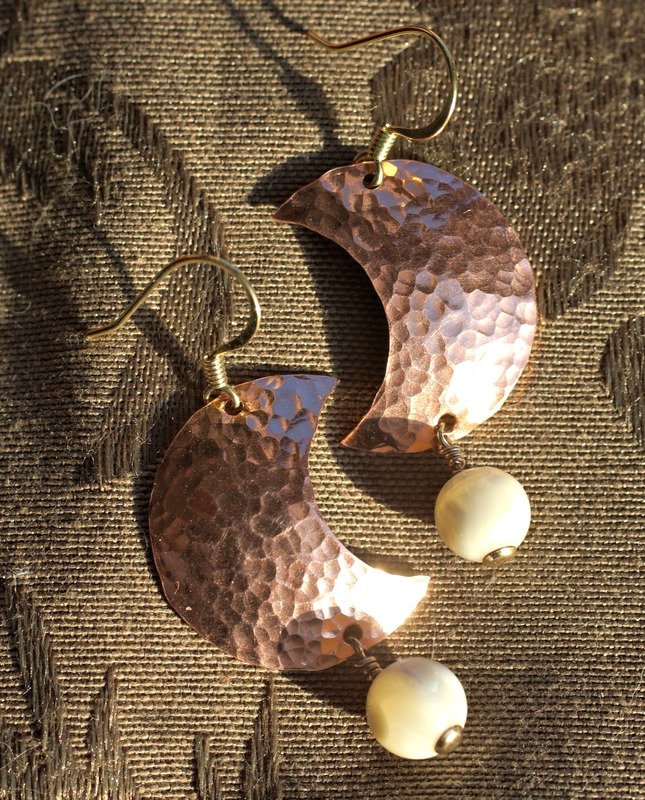 And these crescent moon earrings. 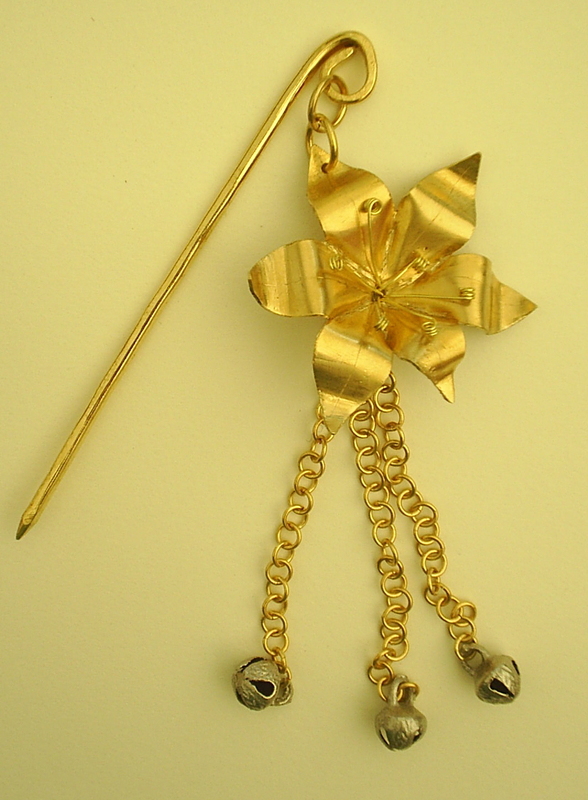 Another piece of one-of-a-kind wearable art features metal forming to create a woods lily hat pin. The hat pin was commissioned to honor a friend who died a few months before a show. The piece was created completely on-site at the show using brass sheet and wire. The bells were provided by the client. “Ripples”, made for a gallery show at Monterey Peninsula College. (sorry about the picture quality, it is the only one I have of this piece). 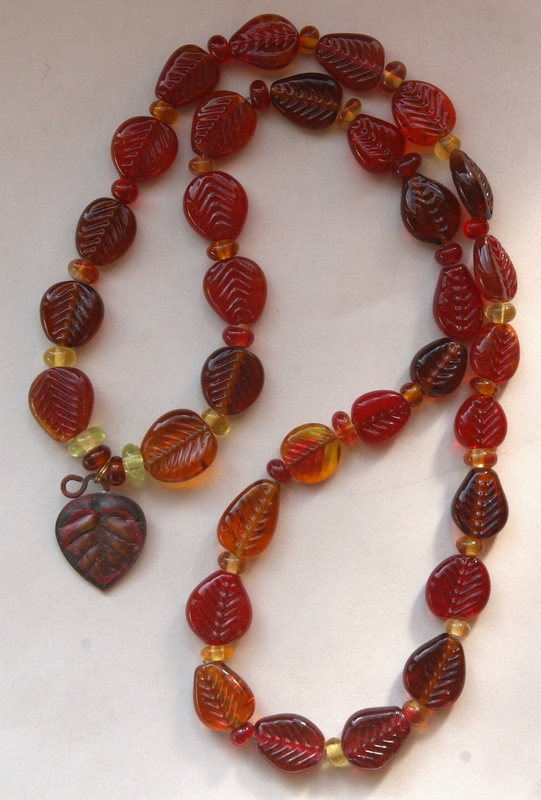 This “Autumn Leaves” necklace is constructed of handmade lampwork glass leaf beads and spacer beads, and is finished with a hand-formed and patinated copper leaf pendent. 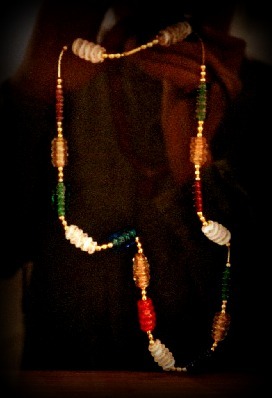 And this playful “Clown Necklace”. Whimsy and a sense of the absurd sometimes grab me and won’t let go until I complete a project. One of my favorite art pieces was featured in a Monterey California art show and gallery opening. 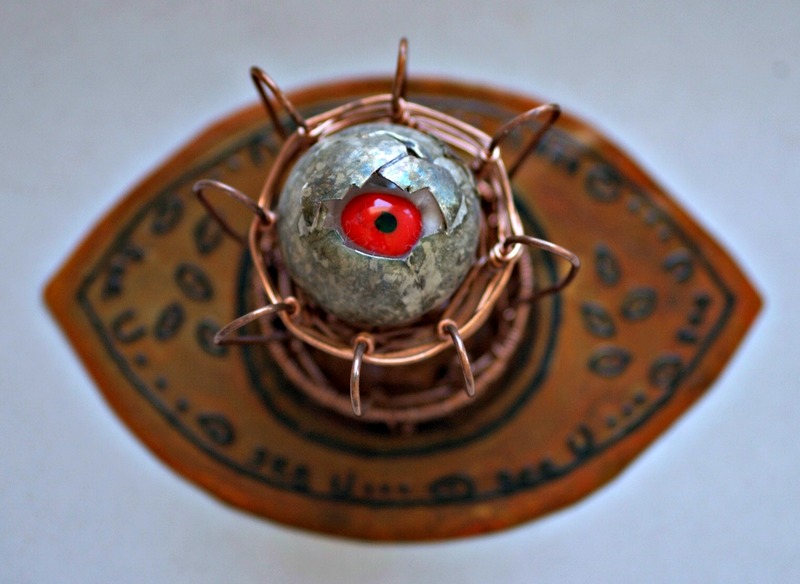 Titled, “I See You” (Eye See U) , the piece includes a hand-forged silver bead in the shape of an egg. 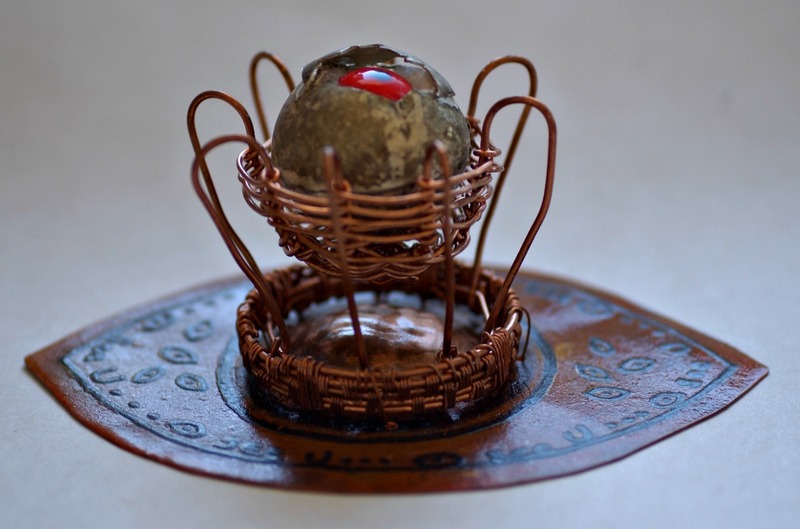 The egg is nestled inside a woven copper wire nest. 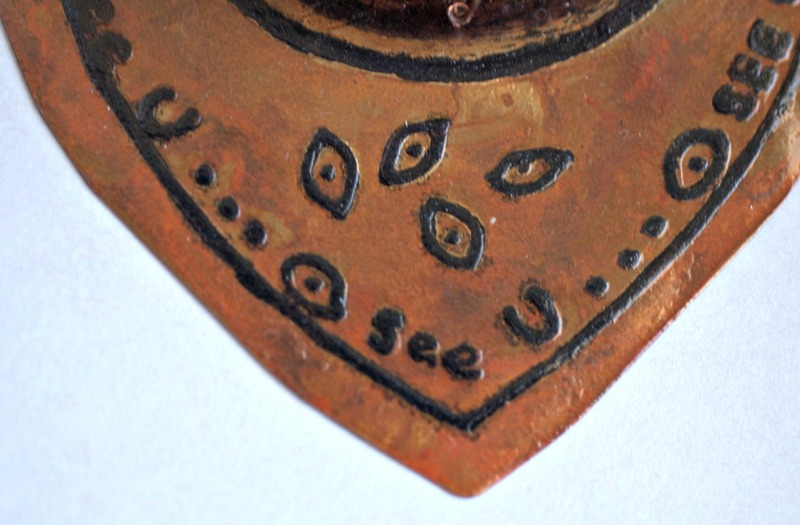 The eye-shaped copper sheet forming the base of the nest was etched and patinated. The silver bead was hand- raised in two pieces and then soldered together to form an egg. The “broken” shell of the egg hangs on the side and a hand-made glass bead in the form of an eye looks out at the observer.